At Shine Paint & Body our motto is "Quality for Less!" Come down today for a free estimate from our friendly, incredibly knowledgeable staff. No pressure, no surprise add-on charges, and STRAIGHT TALK. We know times are tough and are here as your partner to make sure you get the most from your investment. We conduct our business honestly with integrity. Don’t trust your automobile with anyone else. 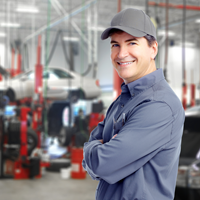 Our management and staff are dedicated to providing the very highest quality and most complete range of vehicle care and appearance services possible.